Discount Pompano Movers knows that when it comes to your business, time is money. That is why we guarantee a smooth and productive office or commercial move at the lowest prices you can find. We take pride in providing quality service that will get your business packed and moved in a safe and timely manner. Our staff will ensure an efficient move to get your business set up in it's new location as quickly as possible. We have over a decade worth of experience and it shows in everything we do. At Pompano Movers we are equipped with the know - how to give you a quality commercial move. We even offer night and weekend service so you don't even have to close the office. We strive to complete your business move in the shortest time possible, often within hours, with our expert preparation and execution. 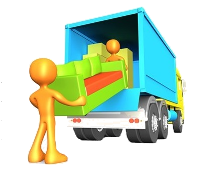 Pompano Movers will always provide services customized to your needs and budget. 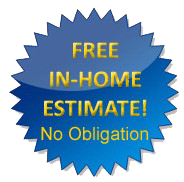 So contact us today to take advantage of our free on site estimate service for a guaranteed price quote in writing. The most important part of any move is the planning and preparation. Your business can not function properly if it is not set up properly. At Pompano Moving we will take the time to help you prepare for your big day. The main objective in a corporate move is to be time and cost efficient. The less time you spend moving, the more cost efficient it will be to your company. Often times when can complete an inter city move within hours. We even offer evening and weekend service at no extra charge. Our planning team will help you visualize your new office space and prepare a plan to start it functioning as efficiently as possible. Our planning team will help you visualize your new office space and prepare a plan to start it functioning. Communication is the key when it comes to a corporate move. Make sure that everyone involved (employees, landlord, movers, renters, etc.) are aware of every detail. They need to know the exact moving plan for the upcoming move. Pre planning is the key to any successful move, especially a business move. The planning process needs to be started at least 90 days before your anticipated move. This way, if any unexpected delays or obstacles occur they can be more easily dealt with. The most important factor is the effect it has on your customers. Pompano Movers aim to make sure that your move is handled properly so your customers notice no interruption in service. Pompano Beach Movers will always provide service that is customized to your business' one of a kind needs. We are fully insured, licensed and bonded in the state of Florida. Our South Florida relocation team will always strive to surpass your highest expectations and provide you with quality service and peace of mind. All this at the lowest prices in town. So contact us today at (954) 455-8987 for a free estimate or take advantage of our free On-Site estimate service for a guaranteed written quote.